Facebook is an amazing company. It employs thousands upon thousands of seriously talented people and has a valuation in the hundreds of billions having only been founded in 2004. But aside from a glitzy F8 event once a year, it is not nearly as stellar a performer at promoting its wares to businesses as it is to users. By and large, Facebook just publish a blog post and let the media, partners and developers working with the platform (we are one of those) disseminate the information. Here I am going to do my part to help them add another billion to their valuation. 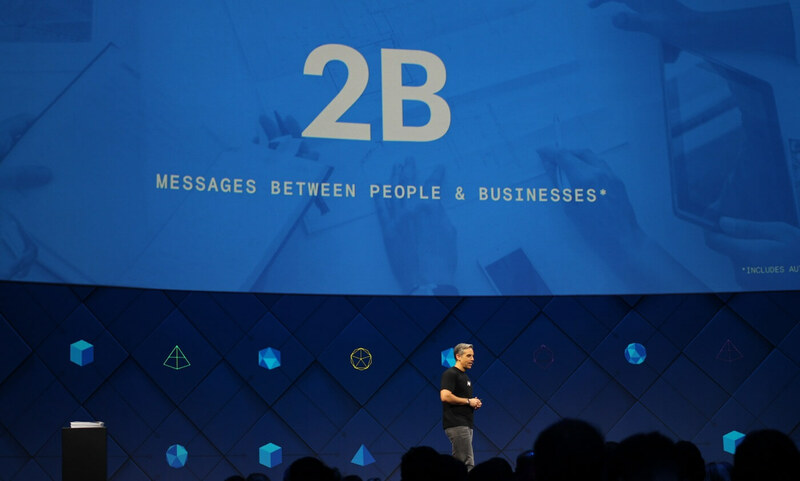 I am going to shine a light on some key facts about using Facebook Messenger for business and little-known business features already baked into the product. Never mind about businesses, very few consumers seem to realise that Messenger is pretty much a standalone product (at least from a signup perspective). Just like WhatsApp and other messaging apps, all the customer needs is a mobile number and some basic details to get going. Although some users will still have privacy concerns that may prevent them signing up, at least this removes the social risk of being on Facebook proper. If a customer wants to use Messenger purely for business queries it is not that difficult to make that happen. Messenger.com is where the web version of your mobile Facebook Messenger app and the dedicated messaging platform for your Facebook account live. Everyone who has a Facebook account already has a Messenger.com account and anyone who has signed up to the app is nearly there as well. What this means is that Facebook Messenger works just as well on a desktop as it does on a mobile phone. What does that mean from a business perspective? It means your customers can move from their phone to their iPad to their laptop and their chat history/identity will follow them. Something web chat, for example, struggles terribly with. The main business use case for Messenger Codes is to make it easy for customers to contact your business from non-digital touchpoints. So put them on flyers, delivery dockets and receipts. Marketers are always looking for the next hot platform before it gets extremely expensive when everyone else discovers it. Promotional messages are potentially the next big advertising channel but there is a massive hurdle in the way of any business looking to take advantage. Unlike Facebook ads or Google Adwords you cannot simply specify a few different characteristics or keywords and let the algorithms do the rest. No. This time you need to engage people on the platform first before you can advertise to them (at least that is how Facebook Messenger has been set up). This means this channel will only be useful to companies who make the effort to engage customers via messaging. This can be achieved in the shape of handling customer support via messaging or possibly creating an interactive bot with some novel features. As per usual, the early adopters will get the most bang for their buck! It’s fair to say that Mark Zuckerberg did not set out to build a platform for customer service when he launched Facebook. Customer support features were made to work in the context of the existing social platform because both users and businesses demanded it. With Messenger it is different. Facebook are actively and openly building Messenger for use by businesses and as you can see from the image above they are building some traction. More than 2 billion messages are sent between businesses and consumers via Facebook Messenger every month. This is a tide that will keep on rising. There are very few examples of Facebook putting this much effort into something and failing to make an impact with it. I will be astounded if Messenger is not one of the primary customer contact channels in 2 years time. If you're thinking of using Facebook Messenger for business there are lots of ways to engage customers and that will be the topic of a future post.